LOW MILES - 24,810! SUPER WHITE exterior and STEEL BLUE interior, S trim. Bluetooth, Back-Up Camera, Copious rear legroom; impressive fuel economy; user-friendly controls; generous standard equipment; pleasant ride. -Edmunds.com SEE MORE! Back-Up Camera, Bluetooth. Rear Spoiler, MP3 Player, iPod Input, Remote Trunk Release, Keyless Entry. Toyota S with SUPER WHITE exterior and STEEL BLUE interior features a 4 Cylinder Engine with 132 HP at 6000 RPM*. Leather Seats, Heated Driver Seat, Premium Sound System, Onboard Communications System, Aluminum Wheels, Dual Zone Climate Control, Heated Leather Seats Privacy Glass, Keyless Entry, Steering Wheel Controls, Heated Mirrors, Bucket Seats. Chevrolet LT with Silver Birch Metallic exterior and Medium Gray interior features a 8 Cylinder Engine with 300 HP at 4400 RPM*. This vehicle is located at Gates Auto Outlet 961 Four Mile Rd Richmond KY 40475 Horsepower calculations based on trim engine configuration. Please confirm the accuracy of the included equipment by calling us prior to purchase. 4x4, Fourth Passenger Door 4-Wheel ABS, Vinyl Seats, 4-Wheel Disc Brakes. CARFAX 1-Owner, GREAT MILES 30,131! PRICED TO MOVE $1,100 below NADA Retail! SLATE METALLIC exterior and BLACK interior, S Plus trim. Moonroof, Back-Up Camera, Bluetooth, POWER TILT/SLIDE MOONROOF, Aluminum Wheels. CLICK NOW! Back-Up Camera, Bluetooth, Aluminum Wheels. Rear Spoiler, MP3 Player, iPod Input, Remote Trunk Release, Keyless Entry. POWER TILT/SLIDE MOONROOF sliding sunshade. Toyota S Plus with SLATE METALLIC exterior and BLACK interior features a 4 Cylinder Engine with 132 HP at 6000 RPM*. This Corolla is priced $1,100 below NADA Retail. This vehicle is located at Toyota South 961 Four Mile Rd Richmond KY 40475 Pricing analysis performed on 4/9/2019. Horsepower calculations based on trim engine configuration. Please confirm the accuracy of the included equipment by calling us prior to purchase. CARFAX 1-Owner. Bluetooth, CD Player, Back-Up Camera, iPod/MP3 Input. Back-Up Camera, iPod/MP3 Input, Bluetooth, CD Player Rear Spoiler, MP3 Player, Remote Trunk Release, Keyless Entry, Child Safety Locks. Toyota LE ECO with SLATE METALLIC exterior and ASH interior features a 4 Cylinder Engine with 140 HP at 6100 RPM*. XLE trim, BLACK exterior and BLACK interior. CARFAX 1-Owner. Moonroof, Back-Up Camera, Bluetooth, Dual Zone Climate Control, ROOF RACK CROSS BARS, Aluminum Wheels, All Wheel Drive. AND MORE! Power Sunroof, All Wheel Drive, Back-Up Camera, Bluetooth, Aluminum Wheels, Dual Zone Climate Control. Rear Spoiler, MP3 Player, iPod Input, Keyless Entry, Privacy Glass. ROOF RACK CROSS BARS. Toyota XLE with BLACK exterior and BLACK interior features a 4 Cylinder Engine with 176 HP at 6000 RPM*. JUST REPRICED FROM $15,990, $1,600 below NADA Retail! S Plus trim. CARFAX 1-Owner, ONLY 26,981 Miles! Nav System, Moonroof, Bluetooth, Back-Up Camera, Aluminum Wheels, DRIVER CONVENIENCE PACKAGE, POWER TILT/SLIDE MOONROOF READ MORE! Back-Up Camera, Bluetooth, Aluminum Wheels. Rear Spoiler, MP3 Player, iPod Input, Remote Trunk Release, Child Safety Locks. DRIVER CONVENIENCE PACKAGE Smart Key System w/Push Button Start, panic and trunk releases, Radio: Entune Premium Audio w/Navigation/App Suite, AM/FM cache radio, CD player, Entune multimedia bundle, 6.1 high-resolution touch screen w/split-screen display, MP3/WMA playback capability, 6 speakers, SiriusXM Satellite Radio, HD Radio w/iTunes Tagging, HD predictive traffic and weather (metro areas only), Doppler weather overlay, auxiliary audio jack, USB 2.0 port w/iPod connectivity and control, Gracenote album cover art, hands-free phone capability, phonebook access, advanced voice recognition, and music streaming via Bluetooth wireless technology, See Toyota.com/Entune for details, POWER TILT/SLIDE MOONROOF sliding sunshade. Toyota S Plus with BLACK SAND PEARL exterior and BLACK interior features a 4 Cylinder Engine with 132 HP at 6000 RPM*. Reduced from $15,990. This Corolla is priced $1,600 below NADA Retail. This vehicle is located at Toyota South 961 Four Mile Rd Richmond KY 40475 Pricing analysis performed on 4/15/2019. Horsepower calculations based on trim engine configuration. Please confirm the accuracy of the included equipment by calling us prior to purchase. Serviced Here, We Did A 182 Multi-Point Inspection, Service Records Available. 4x4, Rear Air, CD Player, Fourth Passenger Door. Third Passenger Door, Privacy Glass, Child Safety Locks, Electronic Stability Control, 4-Wheel ABS. Call To Set Up Your Test Drive (859)779-1000. Serviced Here, We Did A 182 Multi-Point Inspection, Service Records Available, Call To Set Up Your Test Drive (859)779-1000. 4x4, Rear Air, CD Player, Fourth Passenger Door. BEDLINER. Nissan S with Blizzard exterior and Charcoal interior features a 8 Cylinder Engine with 317 HP at 5200 RPM*. This Titan is priced $300 below NADA Retail. Four Wheel Drive, Flex Fuel Capability, Satellite Radio, Telematics, Chrome Wheels MP3 Player, CD Player, Keyless Entry, Privacy Glass, Child Safety Locks. “On the road, the Silverado was exceptionally pleasant to drive. The ride was very smooth for a truck and bumps and pavement imperfections were soaked up nicely.”- Motor Trend. “Powerful and comfortable. the Chevrolet Silverado is a prime choice for a full-size pickup. ”- Edmunds.com Great Gas Mileage: 21 MPG Hwy. Four Wheel Drive, Flex Fuel Capability, Satellite Radio, Telematics, Chrome Wheels MP3 Player, CD Player, Keyless Entry, Privacy Glass, Stability Control. “Powerful and comfortable. the Chevrolet Silverado is a prime choice for a full-size pickup. ”- Edmunds.com Great Gas Mileage: 21 MPG Hwy. Clean Car Fax No Accident or Damage Reports, w 10 Maintenance Records, We Did A 182 Multi-Point Inspection, Balanced & Rotated Tires, New Front Brakes, New Rear Brakes, 4-Wheel Alignment. Nav System, Hitch, Spray In Bed Liner, Bluetooth, 4x4, Chrome Wheels, 5.7L V8 Hemi, 6-Speed Auto, Remote Start & Security Grp, Sliding Rear Window, Class IV Hitch, Chrome Step Bars. Call To Set Up Your Test Drive (859)779-1000. Clean Car Fax No Accident or Damage Reports, Serviced Here, We Did A 182 Multi-Point Inspection, Balanced & Rotated Tires, New Front Brakes, New Rear Brakes, 4-Wheel Alignment, Service Records Available, Call To Set Up Your Test Drive (859)779-1000. 4x4, Bluetooth, Chrome Wheels Keyless Entry, Steering Wheel Controls, Electronic Stability Control, Heated Mirrors, Bucket Seats. MOPAR CHROME TUBULAR SIDE STEPS, SPRAY IN BEDLINER, UCONNECT 430N AM/FM stereo w/CD/DVD/MP3 player, USB port, 40GB hard drive w/28GB available, 6.5 touch screen, Garmin GPS navigation, SiriusXM travel link, REMOTE START & SECURITY GROUP remote start system, security alarm system, CLASS IV RECEIVER HITCH, MANUAL REAR SLIDING WINDOW, 5.7L V8 HEMI MULTI-DISPLACEMENT VVT ENGINE (STD), 6-SPEED AUTOMATIC TRANSMISSION (STD). Ram Sport with Black exterior and Dark Slate Gray interior features a 8 Cylinder Engine with 390 HP at 5600 RPM*. CARFAX 1-Owner, LOW MILES - 34,121! SUPER WHITE exterior and GRAPHITE interior, SR trim. $1,200 below NADA Retail! Back-Up Camera, Bluetooth, Brake Actuated Limited Slip Differential, TOW RECEIVER HITCH, Tow Hitch, 4x4. CLICK ME! 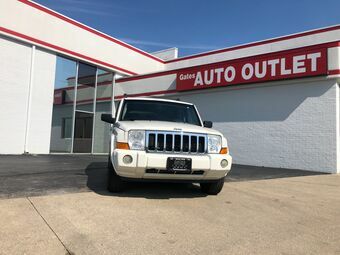 4x4, Back-Up Camera, Bluetooth, Brake Actuated Limited Slip Differential MP3 Player, iPod Input, Keyless Entry, Child Safety Locks, Heated Mirrors. TOW RECEIVER HITCH. Toyota SR with SUPER WHITE exterior and GRAPHITE interior features a 8 Cylinder Engine with 310 HP at 5600 RPM*. This Tundra is priced $1,200 below NADA Retail. FX4 trim. CARFAX 1-Owner. PRICED TO MOVE $3,100 below NADA Retail! Onboard Communications System, Satellite Radio, Smart Device Integration, Fourth Passenger Door, Flex Fuel, Alloy Wheels, Tow Hitch, Running Boards, 4x4. CLICK ME! 4x4, Running Boards, Flex Fuel, Satellite Radio, Onboard Communications System, Trailer Hitch, Aluminum Wheels, Fourth Passenger Door, Smart Device Integration MP3 Player, iPod Input, Privacy Glass, Keyless Entry. This vehicle is located at Toyota South 961 Four Mile Rd Richmond KY 40475 Pricing analysis performed on 4/13/2019. Please confirm the accuracy of the included equipment by calling us prior to purchase. GREAT MILES 62,000! MAGNETIC GRAY METALLIC exterior and GRAPHITE interior, SR trim. Bluetooth, Brake Actuated Limited Slip Differential, Back-Up Camera, CHROME TUBE STEPS, 4x4. CLICK NOW! CHROME TUBE STEPS. Toyota SR with MAGNETIC GRAY METALLIC exterior and GRAPHITE interior features a 8 Cylinder Engine with 310 HP at 5600 RPM*.